Workers in mines and in other dangerous working areas, are risking their health and life every day! Mining is one of the most dangerous trades in the world. Miners deal every day with dangerous gases and high temperature levels in a dark environment. 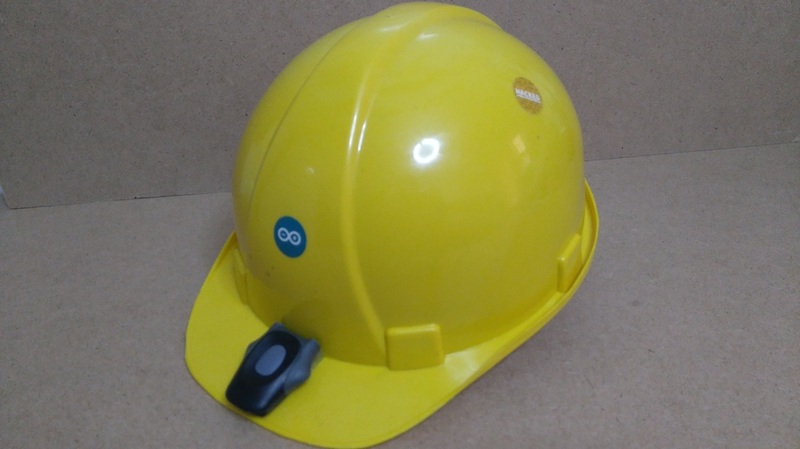 With the help of Arduino we designed and developed a Smart Working Helmet that can save their lives, if something goes wrong. If the worker is approaching to a dangerous gas, the helmet will inform him with a warning sound from the buzzer. If the environment is too noisy, he will know that he is in danger by the red blinking led in the front of the helmet. The warning sound and the red led will repeated faster as he is approaching closer to a dangerous environment. If the environment temperature becomes higher than the worker's body can withstand (e.g. 45 ºC), the helmet will inform him with a (different) warning sound from the buzzer. If the environment is too noisy, he will know that he is in danger from the red blinking led in the front of the helmet. If the working environment becomes darker, the helmet's front light will be turned on. It has ​a rechargeable battery and can be easily re-programmed to adjust values of the working environment . Smart Working Helmet started out as a Bachelor's thesis by Antonis Damigos and Marianna Miliori, (supervised by Michail Papoutsidakis) - Automation Engineering Department of Piraeus University of Applied Sciences. We are supporting the open hardware - software community so this project will be marked as an open-source. Before share/copy/change anything of below guide, make sure to read and agree with the CC BY-NC-SA licence agreement! *For Arduino Lilypad board you may be also need an FTDI to usb converter board. The connections are pretty easy, see the image above with breadboard circuit schematic. We used the Arduino Lilypad board but you can use also any Arduino board you want, like Arduino UNO, with the same connections.